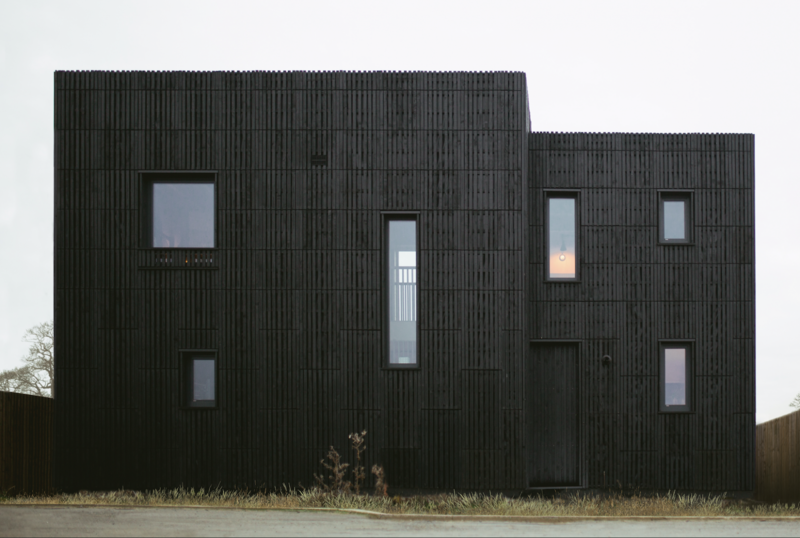 Architectural practice Studio Bark will be bringing its innovative U-Build system to London as part of Grand Designs Live. The simple construction system has been designed to make building accessible to anyone with limited skills, but who wants to take an active role in their build. The system was selected for one of the original Graven Hill pioneer builds, where it was tested as a whole house system on Box House. 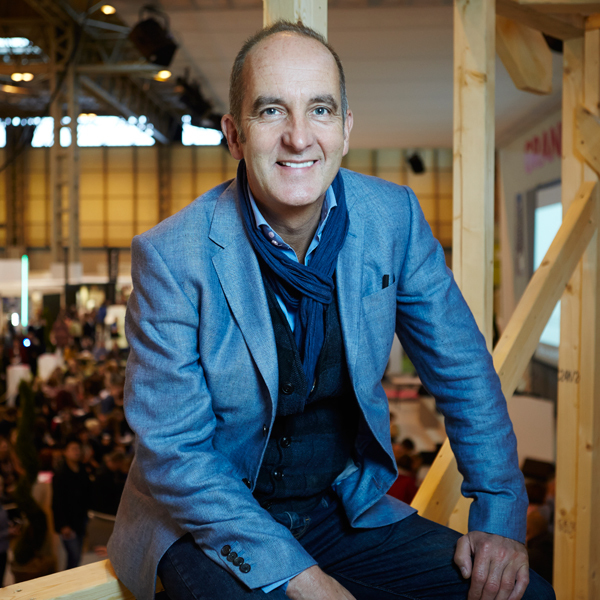 You can follow the story of Chris and Roxie and Box House on Grand Designs: The Street on 25 April. 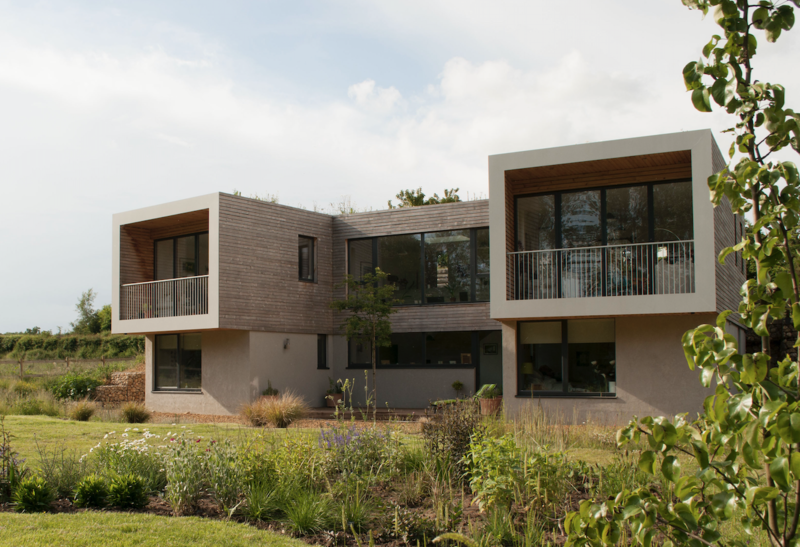 The Custom and Self Build sector frequently innovates in terms of design and construction, and Studio Bark’s U-Build system is very much in this vein, offering a refreshingly simple build system that anyone can learn how to use. 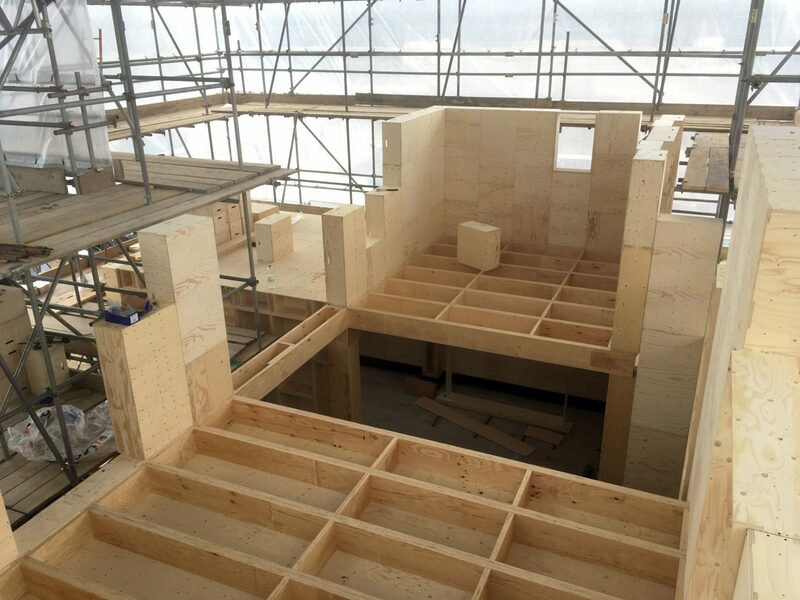 “We’re focusing on creating a high-tech but human scale system, for people who are interested in physically putting in the labour on a build, but may lack the technical skills to build in traditional construction methods,” says Nick Newman, Director. 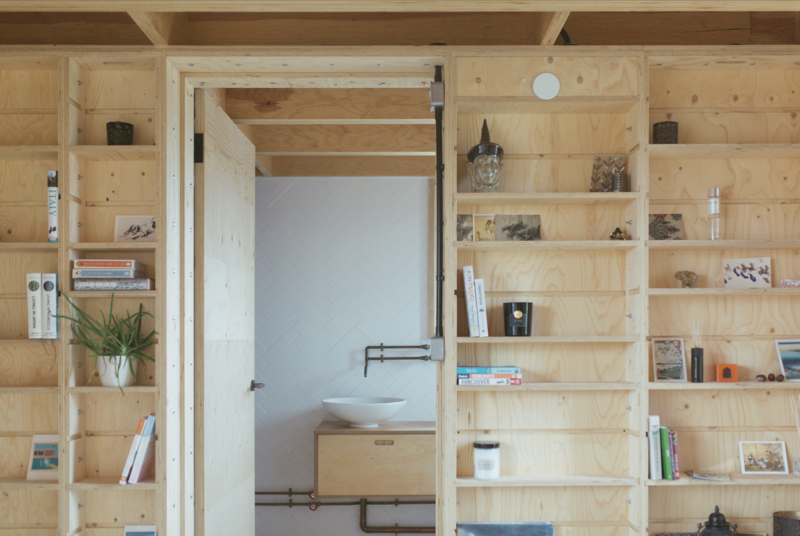 The system hinges around a simple box made of plywood that comes flat packed, with the self builders assembling the 300mm deep casettes, then using them to construct as building blocks to fabricate the house. 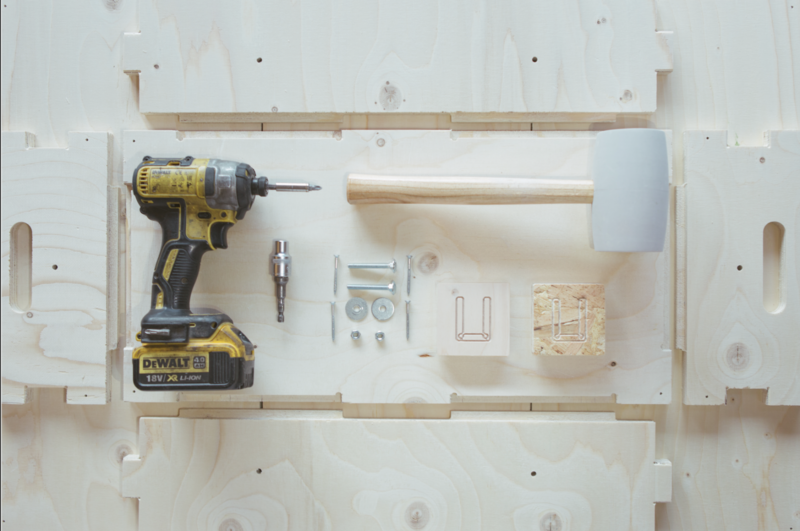 The boxes only need a mallet and drill, and lots of people power. 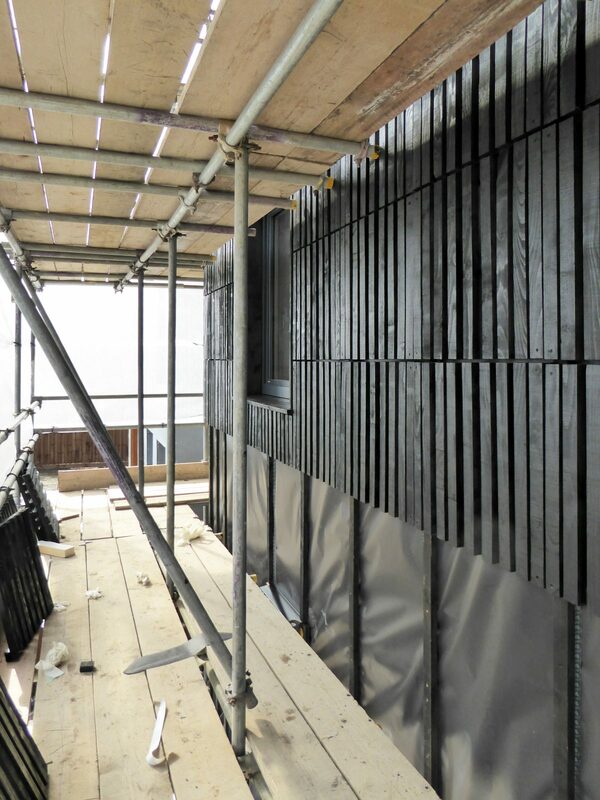 The CNC (Computer controlled cutting) components are built on site, bolted together and then sheathed in a waterproof membrane, and the boxes can be used to create walls, floors, roof components and interior fittings. It’s a flexible system that can be used to construct a range of designs, that offers a build system that’s sustainable. By default, wood locks in the carbon the trees absorbed while growing, while pre-cut sheep’s wool insulation is combined with low-VOC and formaldehyde free glues and treatments. The system also generates minimal waste onsite, and at the end of the building’s life the boxes can be deconstructed and used again. Studio Bark has recently launched the U-Build website with a configurator for simple pods and rooms that allows you to design and cost your own simple jobs like garden offices, while the studio’s architects can design whole house or extension U-Build projects. 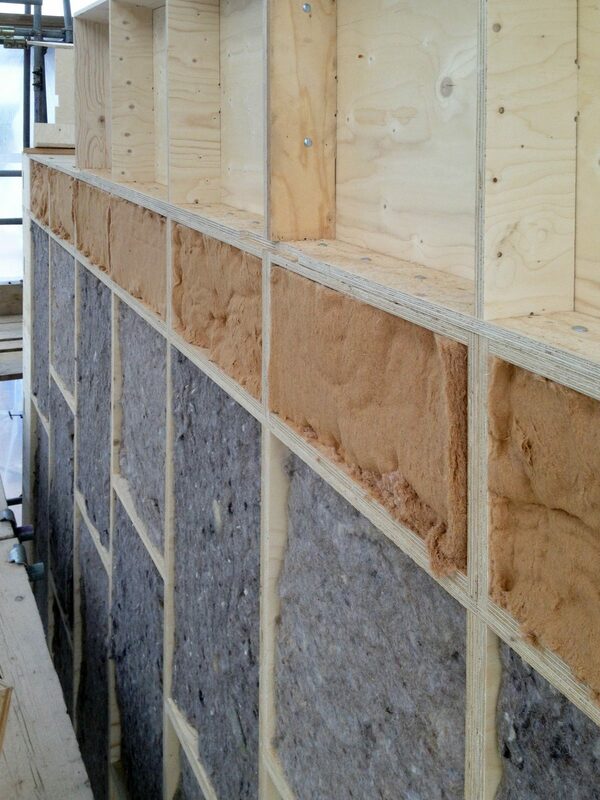 Currently it can build up to 2.5 storeys, use plywood, birch or OSB, with excellent airtightness and the system has passed a full-scale load test. 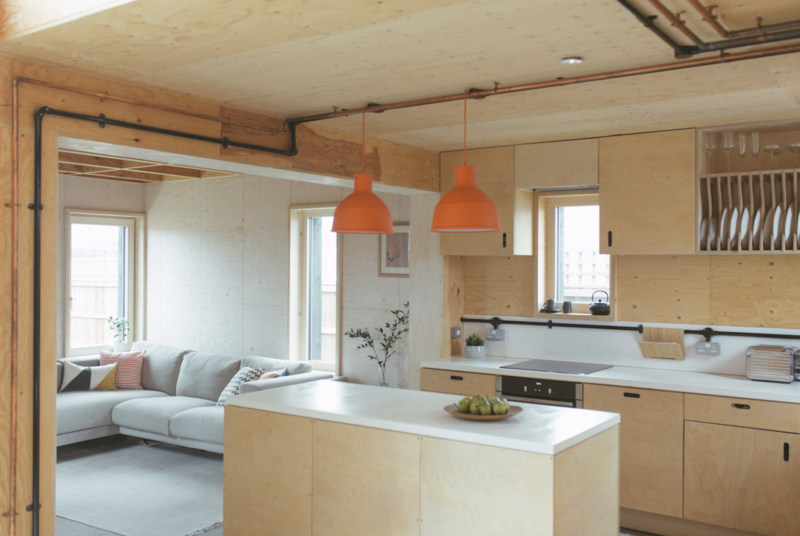 As well as an innovative build system, U-Build would be a fantastic construction method for community-led housing groups wanting to do as much work as possible on their self-build in order to maximise affordability. The simplicity of the build route makes it accessible to anyone, regardless of their ability or prior knowledge of building. “We’re trying to reimagine the role as architects, we envision ourselves more as facilitators – training and supporting, making this scalable architecture,” says Newman. Grand Design: The Street is not the first time Studio Bark has been involved with the show, as it built Periscope House, which featured in Season 14, Episode 6. 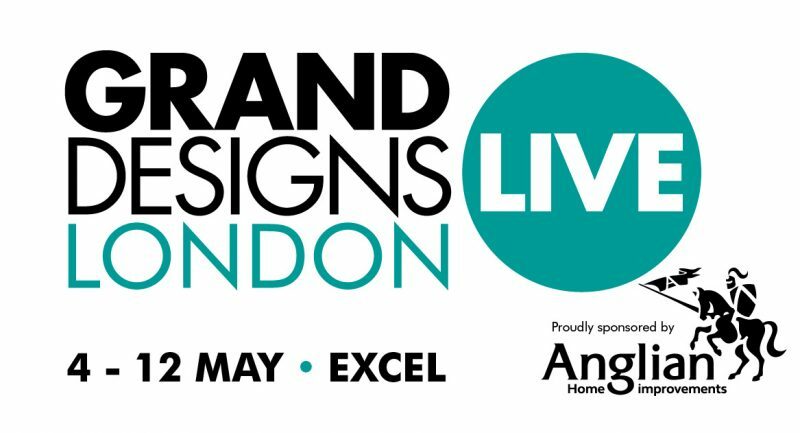 Come and see Studio Bark and a team of students building with U-Build at Grand Designs Live, which is part of National Custom and Self Build Week. Building your own home doesn’t mean you do the build work yourself, as most people get involved with the design and construction by commissioning a range of companies to do the work on your behalf. 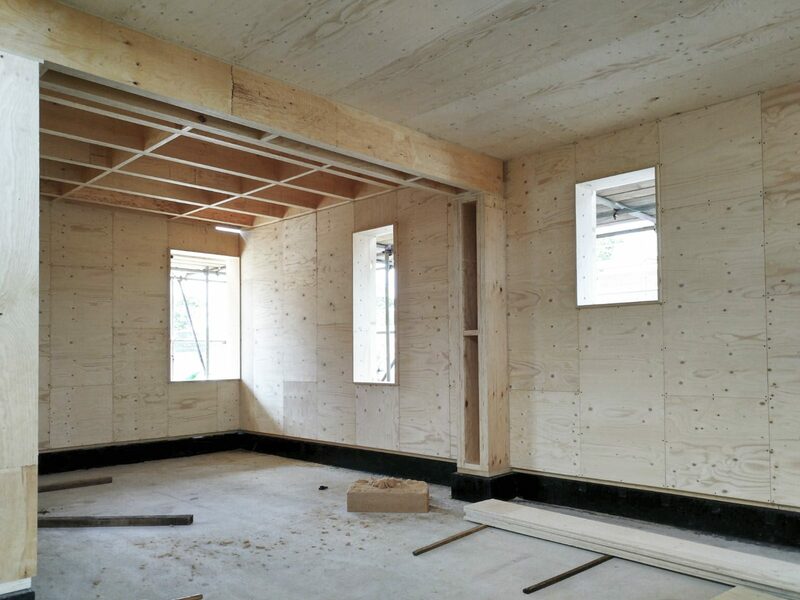 You have can build what you want and choose how it is constructed, and if you choose a package company then they build the house for you, constructing it offsite in a factory before erecting it on site. Finding the perfect plot can be challenging, especially if your heart is set on a plot in the middle of the Greenbelt! Plot-finding websites are a great source, and local planning authorities must ensure that there are sufficient self-build plots available to meet the demand on their Self-build Register. Signing up to your register helps ensure a supply of land is available – visit www.righttobuildportal.org. The UK planning system makes provision for Custom and Self Building, but you must follow regulations and guidance. 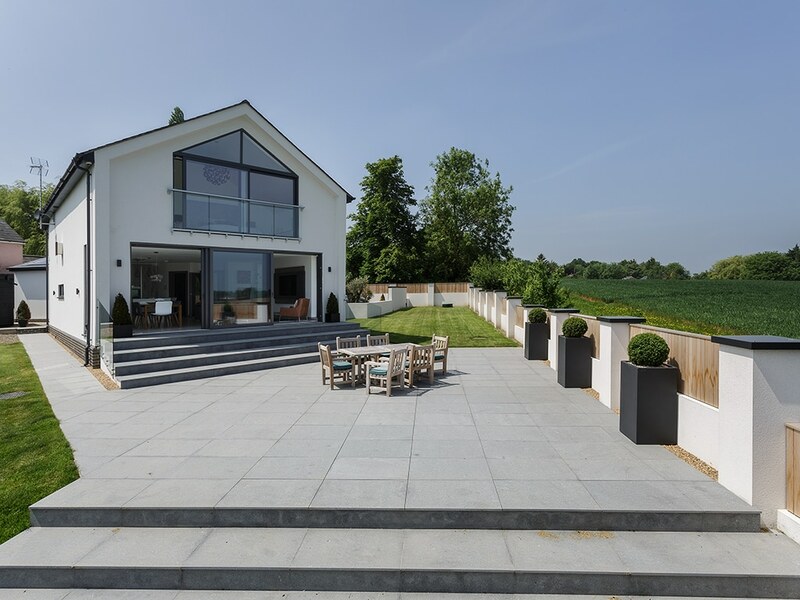 Modern self-build developments offering serviced plots on multi-plot sites offer reassurances that, as long as the rules for the plot are satisfied, planning permission will be granted. Some sites, such as Graven Hill use a Plot Passport to say what sort of thing can be built on each plot. It is possible to stay on a budget if you get the right advice and spend time forward planning. The construction method you choose, the size of your project and how involved you are in the process all affect the budget, and can help limit the cost of building. Remember, you get to choose what and how you build, and research shows most self-builders end up with a home that has cost less than a comparable home bought on the open market. Finance used to be an issue, but these days self-build mortgages are available from several lenders. To get advice on the funding options available to you speak to a qualified financial adviser or mortgage broker. You’ll need to show a projection of costs and planning-permission before they’ll grant you the funds. In some countries in Europe over 50% of all houses are self-built, while in the UK this is less than 10%. However, those that do self build come from all income brackets, life-stages and levels of build experience. Anyone can do it, and NaCSBA is working to make it a mainstream choice for more people. How long it takes to build depends on what, and how, you want to build, but it can take as little as two years from finding a plot to the completion of a project. Finding a single plot and choosing a truly bespoke design will naturally take longer than buying a serviced plot and custom building with a package company that delivers and erects your factory-built house. The Self-Build Registers are evidence that the UK Government and local authorities are willing to support the self-build industry. Plus there’s activity in Scotland and Wales around the sector, too. On a personal level there’s help in that you can reclaim the VAT on a self build and you’re exempt from the Community Infrastructure Charge. Both have strict processes for this with firm deadlines. To find out what’s on over the week click here. 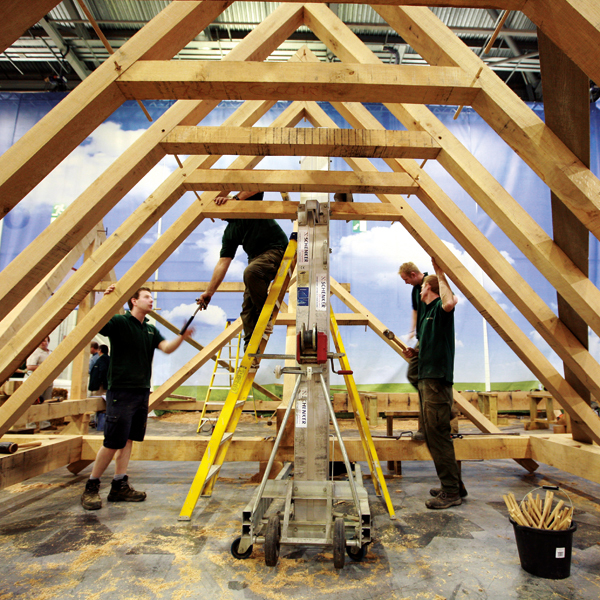 Save the date for National Custom and Self Build Week 2019, running between the 6-12 May this year. NaCSBA is organising a series of events around the week to celebrate the best of custom and self build and showcase some of the companies and projects that can support and inspire you with your own dream project. 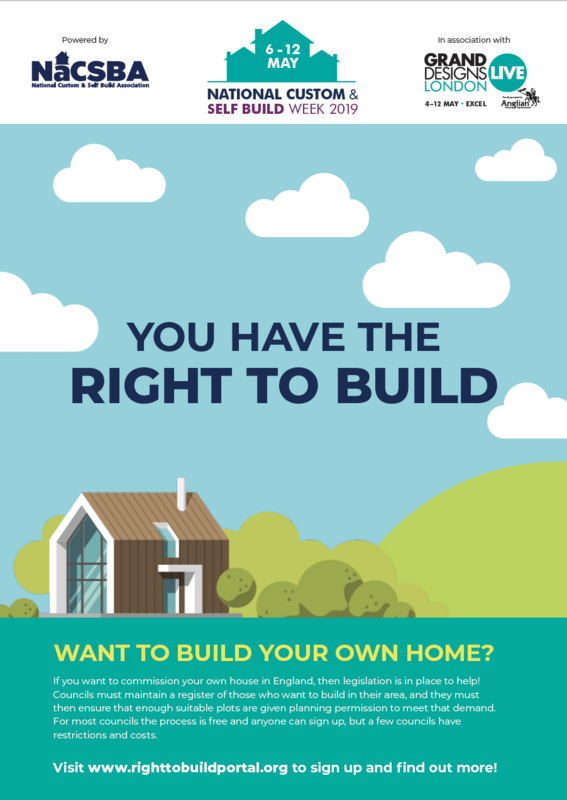 National Custom and Self Build Week is the perfect opportunity to share the message that the first step for anyone considering a tailored home is to sign up to their local Right to Build registers, via the Right to Build Portal and join the 40,000 people that have signed up to show their councils that they want the chance to self build! 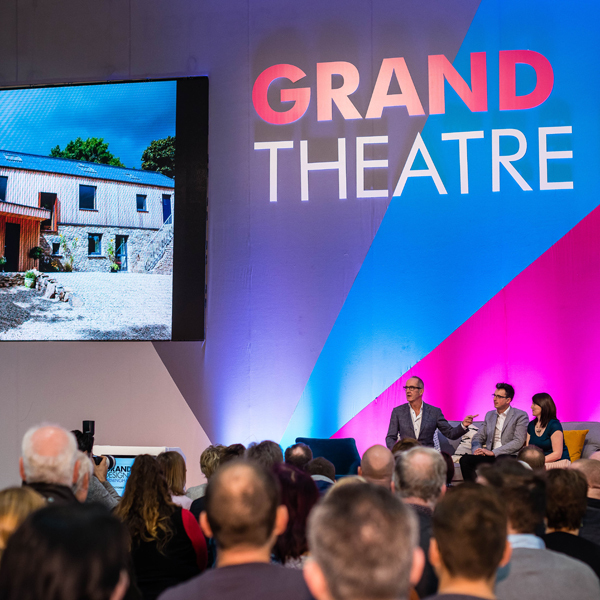 A core element of the week is the five-day event running as part of Grand Design’s Live, where each weekday a NaCSBA specialist will be on the main stage sharing tips and advice about self building, with a special focus on Busting the Myths that Self Build is Challenging! 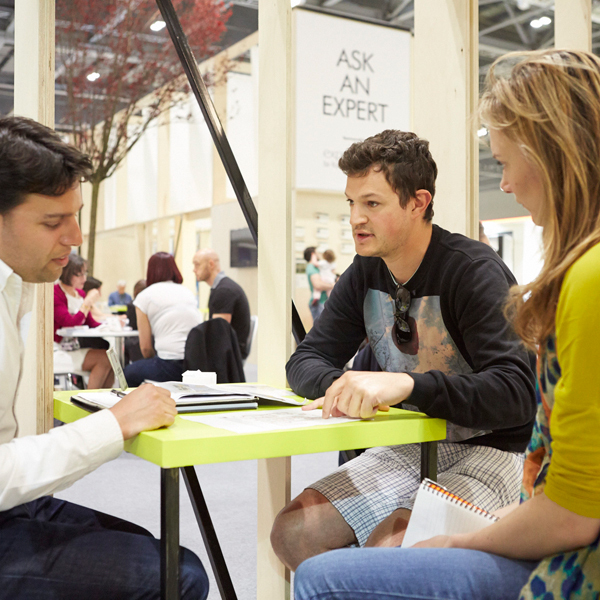 Each day there will also be the chance to ask your self build questions to a NaCSBA representative in the Ask the Experts area of the show, getting tailored support for your dream home project. As we get closer to the week we’ll be sharing more information about the week’s events, but for now pop the week into your diary!